1. He married a woman named Epsy Beth Smith and left the state. 2. He went to Georgia. 3. He went to Texas. 4. He was killed in a railroad accident. 5. He sent money back to help support the children. 6. Lonnie Howard tried to find him after hearing that he was back in Macon Co., AL. This was several years after he was married to Rose Keel. Mary Culpeper, 2, F, AL. Willie Culpepper, Son, M, S, Wh, 1, Without Occupation, AL/AL/AL. 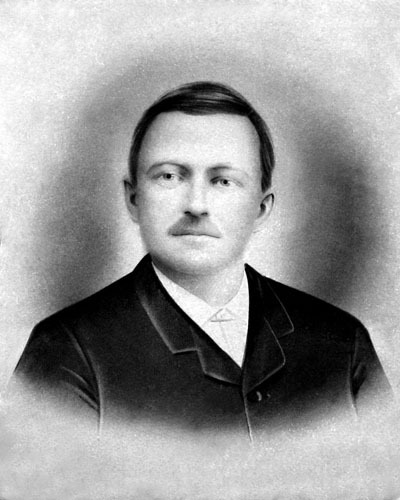 Ervin Culpepper married Joana Baker on 16 Dec 1878 in Macon Co., Alabama. E-mail written Dec 2010 to Warren Culpepper from Shannon Barron Lake, e-mail address. Records of Mike Howard, Mike Howard to Lew Griffin. "The wife of James J. Howard was Epsey Dallas Thompson, the daughter of Jonathan and Isophina/Icyreny Thompson. This Epsey married first James M. Knowles 16 Oct 1861, second Franklin Knowles 24 Sep 1863 and last James J. Howard on 09 Oct 1870. Her first two marriages were in Chambers Co., AL and the last in Tallapoosa Co., AL. She wound up outliving all three husbands. She only gave birth to one son, James 'Jimmy' Knowles, by her first husband. There must have been complications with that first birth because she never had any more. This combined with the fact that James Howard didn't have any children prior to their marriage could be part of the reason that James adopted Lonnie. "One of the pieces of the puzzle I am trying to find is the family connection of James J. and Epsey Thompson Howard to Irvin and Joana Baker Culpepper. I have a cousin, Mike Howard, a direct descendant of Lonnie, who has been looking for the family connection or reason for the adoption for 20+ years. He had been looking for a family connection between the Culpeppers and either the Howard or Thompson families. However, I think it may be through the Bakers. Phillip Baker was a favorite family member of my great grandmother, Mary Pearl HARRELSON Barron. She told me the family connections but I was too young to be able to remember now. Mary Pearl is one of the many people that Lew and I have in common. Since Lew Griffin also has a connection to the Culpeppers but NOT the Howard or Keel lines then that makes me think that the connection may be through the Bakers. However, it could be through the Thompsons. The brick wall in the Thompson line is with Epsey's parents, Jonathan 'John' A. and Isophina/Icyreney (maiden name unknown) Thompson. So we don't know anything about their siblings or parents. Lonnie C Howard died 3 Feb 1959 in Tallapoosa Co., AL; Volume 9, Certificate 4296, Roll 6. E-mail written Aug-Sep 2005 to Warren Culpepper from Louis Plant, e-mail address. These graves are side by side in cemetery. However, William's tombstone show the initial 'J' and on Martha's tombstone the initials are W. M."
William Culpepper married Martha McGar on 29 Dec 1858 in Macon Co., Alabama. Henry Culpepper, 17, M, Black, Farm hand, AL (Cannot read or write). Martha Culpepper, Wife, F, M, Wh, 43, Keeping House, GA/GA/GA. I found the below info for Irvin’s daughter, Mattie #1538, who was twin to Mollie. I believe this establishes the girls' birthdates. Of course, Irving is not the mother’s name as shown here, but is the father. It was apparently inserted in the wrong space on the SS application. If this is Irvin’s daughter, she was not deceased in 1926 as believed by Shannon Barron Lake. I feel the birth date on this Social Security claim is a match for Mattie and Mollie, backed up by the name of the parent. Notes: 09 Jan 1976: Name listed as MATTIE L CULPEPPER. Mrs. Mariah Culpepper died yesterday morning at 5:50 o'clock at the home of her daughter, Mrs. S C Carden, First Street, Girard of complications of diseases. 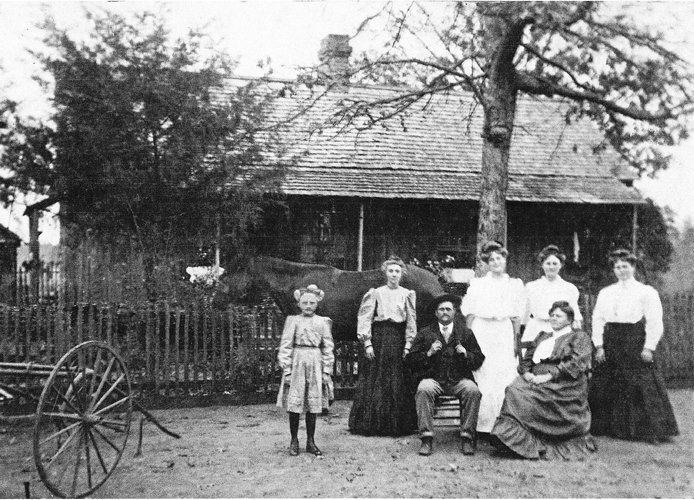 She is survived by eight daughters and one son who are as follows: Mrs. Mary Porter, Mrs. E L Ramsey, Mrs. Will Wynn, Mrs. T F Stillwell, Mrs. Mandy Ford, Mrs. F W Wynn, Mrs, H E Franklin, Mrs. S C Carden and Mr. M V Culpepper; all of whom reside in Phenix City and Girard. The deceased is very widely known and her friends are numerous. That she was a devout Christian, devoted mother and staunch friend, only adds that of her many other good traits of character. She was a member of the Primitive Church [Union Primitive Baptist Church of Crawford, Russell, Alabama]. She was beloved among all who knew her; to know her was to love her. Wm. T. A. L Culpepper and Mariah L. Wall on 12 Dec 1858 in Chattahoochee Co., GA.
Clark Culpepper and Caroline Welch on 19 Jan 1860 in Chattahoochee Co., GA.
Susan Culpepper, 6, F, GA.
Caroline Culpepper and Andrew Grissom on 14 Mar 1867 in Chattahoochee Co., GA.
Obituary of John Thomas Welch (#51051), published Friday, 26 May 1950, p.2. Susan Culpepper and Hillman Wall on 19 Dec 1861 in Chattahoochee Co., GA.
1840 Census 1 Jun 1840� Robert was probably a free white male, age 10 and under 15, in Elizabeth (? )'s household, on the 1840 Census on 1 Jun 1840 at Darlington District, South Carolina. Research note* 20 Feb 2007� Robert Culpepper's ancestry is unproven. But this writer thinks that he was the son of James and Elizabeth Culpepper of Darlington District, SC. He is known to have been born in SC, from the 1850 census. And earlier SC censuses show that James and Elizabeth had a son of the right age to have been Robert. Our verbal history is that Robert Curtis' s father was named James and his mother was named Elizabeth. John W. Culpepper, 1, M, AL. Rhoda Tison Culpepper married on 3 Jan 1865, M. S. Johnson. 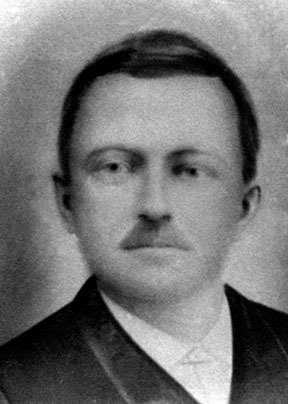 They had one child, a son: Gutus Onias Johnson, born 24 Feb 1870, died 28 Oct 1872. Mary Pool, 40, F, GA.
Rhoda Tison Culpepper married on 3 Jan 1865, M. S. Johnson. They had one child, a son: Gustus Onias Johnson, born 24 Feb 1870, died 28 Oct 1872. Rhoda Tison C. Johnson married on 5 Dec 1873, James H. Braswell. He died 6 Oct 1910 and was buried at Benevolence Cemetery, Benovelence (Randolph Co.), GA.
Rhoda Tison Johnson Braswell buried at Smyrna Presbyterian Cemetery, Church Hill, Marion Co., GA. Church building is no longer there. Francis Marion Culpepper, Polk Co., FL, Male, White, Vol 1133, Cert 2121, died 1945. Penney Braswell, SSister, F, S, W, 11, At House, GA/GA/GA. Frances Marion Culpepper of Church Hill, Georgia and Serena Alice Smith of Benevolence, Georgia were married 7 Sep 1885 @ 7:00 PM by Rev. W. B. Stevens. 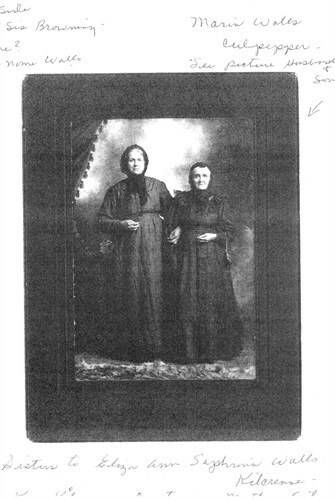 Witnesses: Velma E. Smith and S. R. Stevens. E-mail written Apr 2010 to Lew Griffin from Jeff Carter, e-mail address. Frank McCurdy Culpepper, RFD #3, Ashford, Houston Co., AL, Age 26, born 22 Jul 1890 in Church Hill, GA; Farmer; has wife and one child; Caucasian, No military experience, Short Height, Medium Build, Gray Eyes, Brown Hair, not bald, one bad eye; signed 5 Jun 1917. In October of 2009 I made a trip to Georgia to see Rubye Lewis, who was there for a church homecoming, and to visit other family and collect more family pictures. I made a special effort to visit the family that has the original picture that was identified by Rubye in all sincerity as Robert Curtis Culpepper, b. 27 Jul 1829, d.7 Feb 1864 in Marietta, GA. I think she said that her mother identified it as Robert Curtis. The family that has the picture told me that they always thought it was Francis Marion Culpepper, Robert Curtis's son. Francis Marion's name, date of birth, date of death and those of his wife are written on the back. When I first got the picture I thought that it looked too modern to be a pre-Civil War picture, but didn't question it. Since then I have had much more experience dating pictures. The clothing and hair style are indeed too modern for the picture to have been taken before the Civil War. It is very similar in styles to of a picture of his brother, John Wesley Culpepper, taken around 1900. 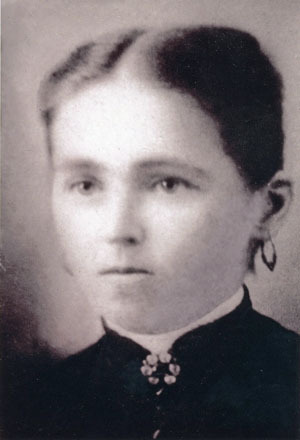 Sadie Culpepper, Daughter, F, Aug 1896, 4, S, GA/GA/GA. Palastine Smith, Father-in-law, M, 90, wid, GA/GA/GA, CSA Vet. ED 186, sheet 7, line 13. Mrs. Serena A. Culpepper, d. 30 Oct 1937 in Muscogee Co., GA, 26289. Seated: John Wesley Culpepper & Mary Lee (Cook) Culpepper. John W. Culpepper and Mollie L. Cook on 13 Nov 1884 in Terrell Co., GA, Book C, p. 305. Mollie Culpepper, Wife, F, 41, md1-25 yrs, ch 3/2, GA/GA/GA. Mollie L. Culpepper, Wife, F, 51, md, GA/GA/GA. Gussie Culpepper and Douglass Jackson, 9 Dec 1906, Randolph Co., GA, Book 8, p. 232. Rhoda Culpepper Jackson, Escambia Co., FL, White, 11 Oct 1892 - 19 Feb 1976. Rhody Culpepper and D. G. Jackson, 31 Dec 1914, Randolph Co., GA, Book 9W, p. 426. Julia Culpepper Johnson-Prentice, 20 Feb 1895 – 10 Sep 1985. 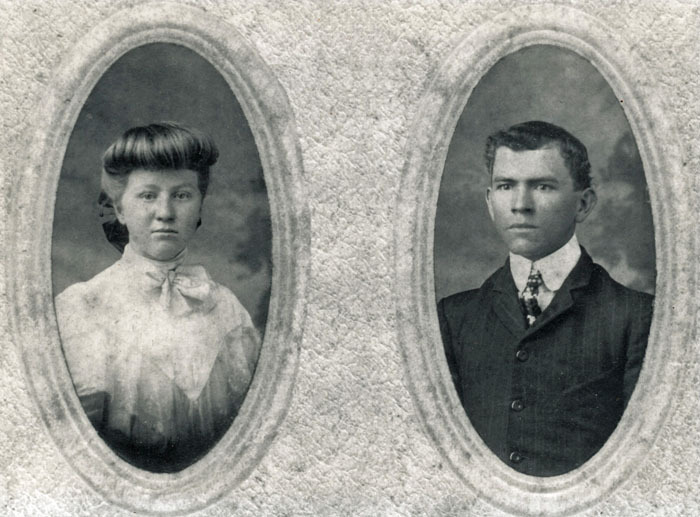 Julia Culpepper and D. H. Johnson married on 16 Jan 1916 in Jackson Co., FL, Book 10-445.